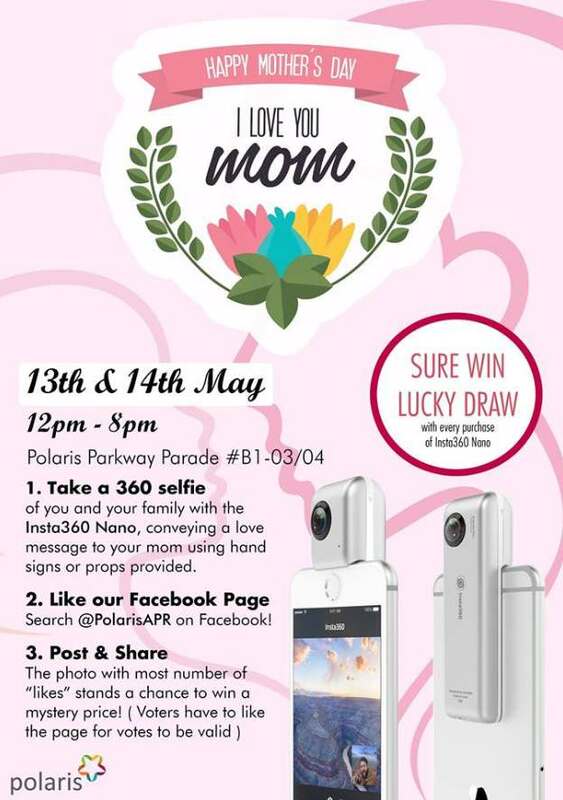 Celebrate Mother’s Day with us this weekend at Polaris Parkway Parade! Participate in our 360 selfie competition and stand a chance to win a mystery price. Also, enter our SURE WIN LUCKY DRAW with every purchase of the Insta 360 Nano! We are at Parkway Parade, Polaris #B1-03/04. See you there! Find out more at Polaris Parkway Parade.